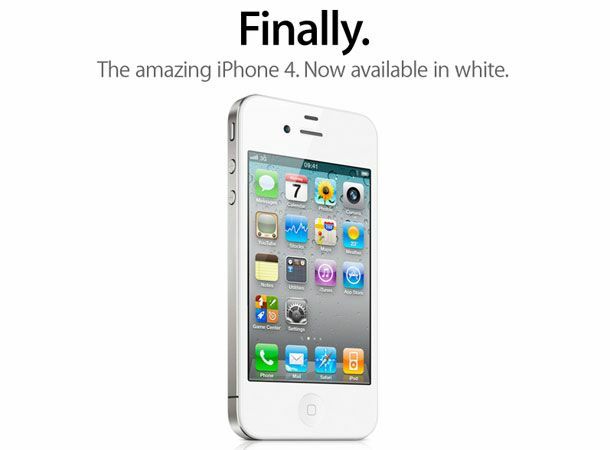 UK network giant O2 has announced it is to stock the long awaited white iPhone 4 as the lighter toned handset officially touches down following more than 10 months of delays. Announcing its plans to host the white iDevice via its official blog, O2 has confirmed that those looking to snap up Apple's brightly hued handset will be able to do so from today with tariffs for the long overdue device replicating those of its black shelled sibling. “Our tariffs will be the same as for the device's much-loved and well-established black cousin, starting from £21.50 per month on a 24 month contract with 100 minutes, 500 texts, 20 MMS, inclusive tethering and 500MB of data, and an upfront cost of £304.99,” announced the official O2 report. With stocks of the white iPhone 4 reportedly lower than anticipated O2 has revealed it is to only offer the handset through its physical retail stores forgoing the option of online sales. Will you be running out to buy the white iPhone 4 now that it is available in the UK or will you be holding out for the iPhone 5 expected to touch down by the end of June? Let us know via the T3 Twitter and Facebook feeds.